Last October I was sent this Marc Jacobs Velvet Noir Mascara* which I have now tried for over 3 months. 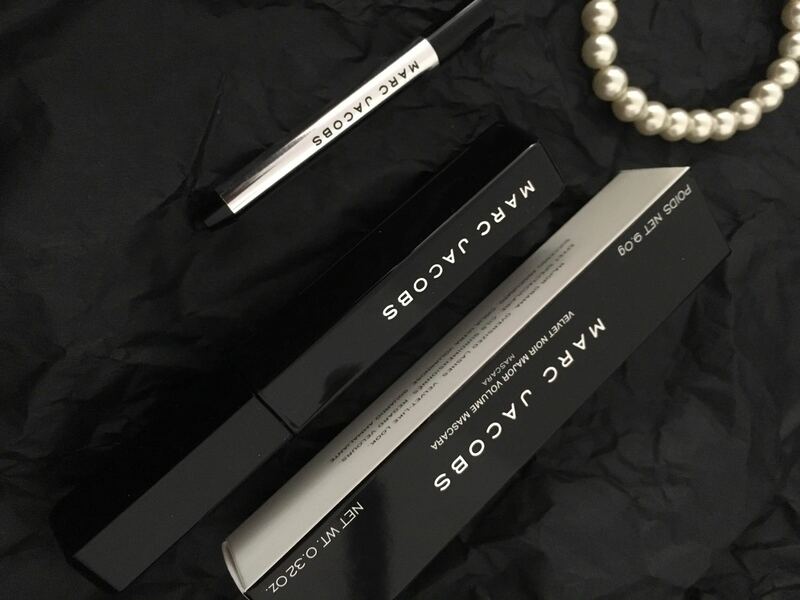 So I'm going to let you guys know what I loved about this product and what I didn't like as much.My holy grail mascara was always the L'Oreal Telescopic Mascara in black due to it's thin wand and precise application which 'til this day I would always see myself using daily. Honestly I was extremely sceptical about this product, A) Realistically I would never go out of my way to purchase a high end mascara - unless it was super essential in my makeup routine and B) I always find hyped up products such a let down. 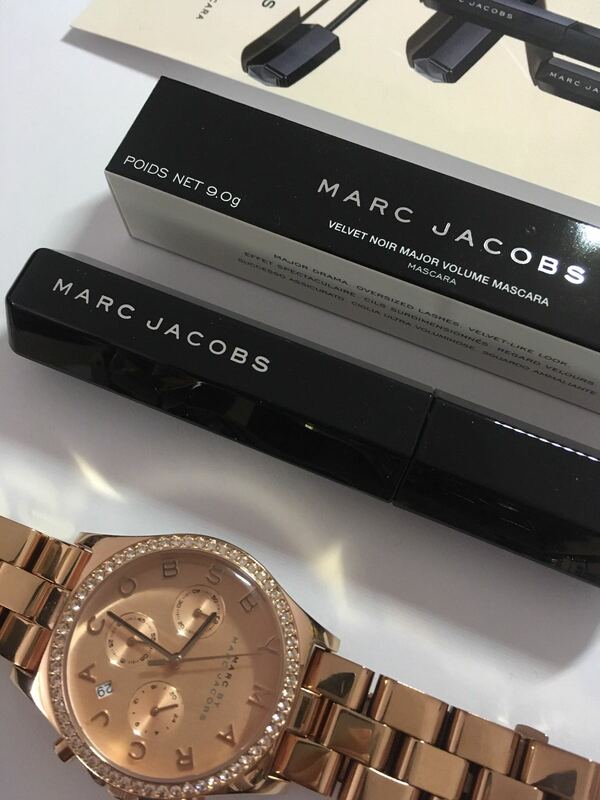 I would say instantly the packaging blew me away, sleek, shiny and definitely compact. 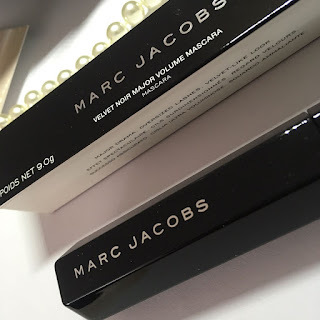 I carry it in my makeup bag wherever I go.The packaging is a hexagonal 3D shape which is intriguing, with a smooth surface useful for grip and finally along the side is the silver 'MARC JACOBS' logo. I totally loved the simplistic packaging yet appearing to look high-end. I always get compliments about my eyelashes whenever I wear this mascara, the 'Oh what false lashes you wearing?' or 'Your eyelashes look really long' which was the first kind of compliment I received about any mascara I tried. So, naturally I was hyped and began applying it on a daily basis. Genuinely I could say hand on heart, you could actually get away with wearing false lashes ( so ladies if you struggle with falsies - here's your solution). 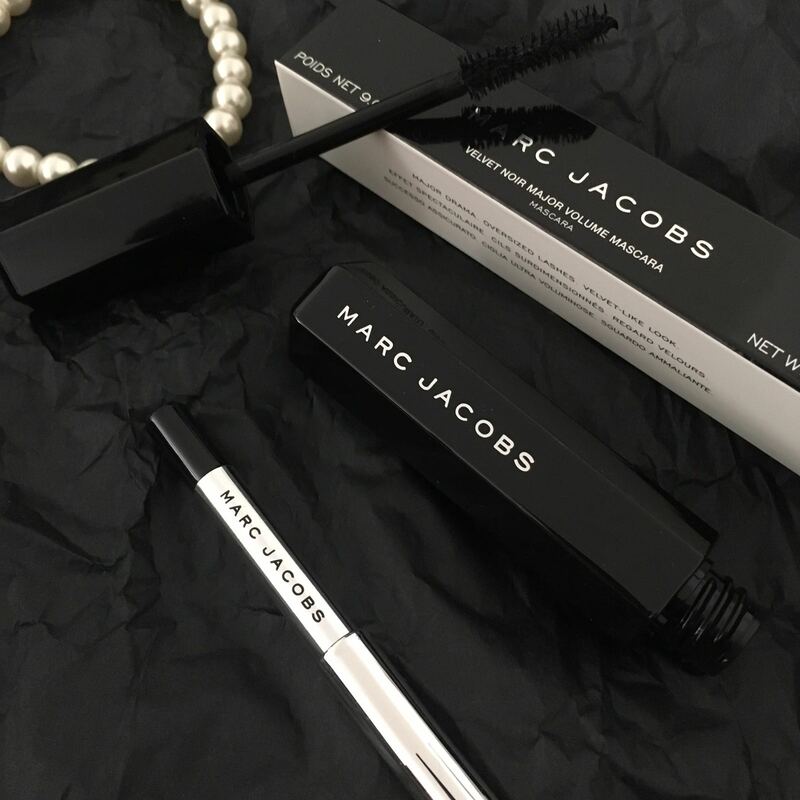 I find applying this mascara definitely compliments any eye look. This mascara definitely dries alot quicker and it doesn't feel heavy on the eyes. It doesn't smudge ( a bonus when you don't look like a panda) and I have applied it for more than 10 hours and because it's lightweight you don't realise you have mascara on! The mascara itself doesn't clump which I found happened with the benefit 'They're Real' mascara ( unfortunately was thrown in the bin after a month or so). I would say I'm not a super fan of the wand size as I find it a little too big, if it was smaller it would have been ideal, but I guess the purpose was to 'experience 1800% more volume' which definitely fits the statement. If your thinking about purchasing a new mascara, THIS THIS THIS!!! And as Valentine's Day is approaching around the corner - this could be an ideal gift.😜. You could also purchase the mascara here. Having been hesitant about high-end makeup products to purchase - I would definitely grab myself a new one, after this runs out and highly recommend it to anyone as it is definitely worth every penny. If you have any questions, feel free to e-mail / comment below. My opinions are always 100% genuine and honest. There are a few pictures on my Instagram ( me wearing this mascara) if you would like to head over and check it out :). 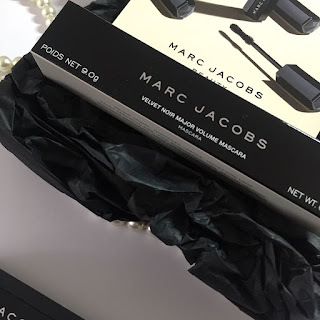 DISCLAIMERl* This product was sent to me complimentary for review purposes by @marcjacobsbeauty @influensteruk which I am genuinely beyond thankful and grateful for the opportunity. Again like I mentioned, all opinions are genuine and 100% my own. I would love to give these products a try, they look so great! Yes!! 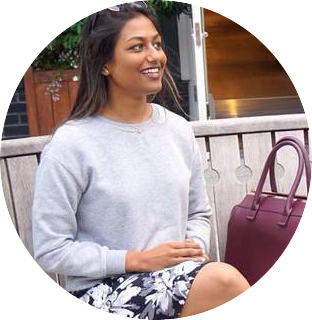 Honestly it's a product I was blown away by - and that doesn't happen very often haha!